When people see your business name you want them to associate you to the products that you manufacture and offer. Keeping consistent throughout this strategy is incredibly important when trying to maintain the integrity of your products. It is an easy strategy to build off your logo and make your website, business cards, and product packaging take off from there. For example, if your logo is purple and gray, you should continue that theme throughout everything that you do. If consistency in your brand is not applied you may risk confusing your customers. Again using the example above of purple and gray, if your business cards, website, your main product line and logo all follow this color scheme and you choose to release a new product line you should stick to this theme. If a new product is released, using your current logo, but you choose orange for the product packaging some customers may not follow that this is your product even though your logo is around. When thinking of your color scheme, consider your buyer persona, and which colors he or she would find visually attractive. If your target market were men, we would not suggest using hot pink in your branding efforts; instead use blues, greens and black. Women are often drawn to purple, green, and blue. As you may notice some colors do cross gender lines as favorites, you can use that to your advantage if your product appeals to both men and women. 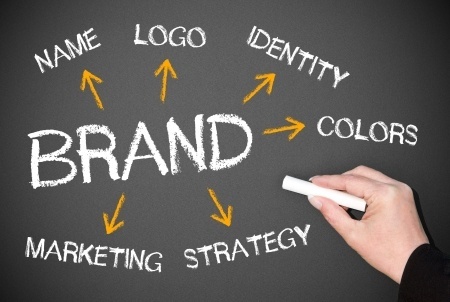 When it comes to marketing, brand consistency is one of the most important factors. Each communication that you have with your customers whether it is verbal or non-verbal should represent the brand that you are building.